Gordes, A Provencal Gem ! 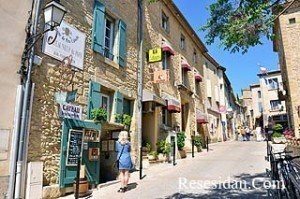 The village of Gordes is full of charm and set amidst the beautiful scenery of the Vaucluse department in Provence. It’s difficult to miss this lovely commune as you approach because, like many others in Provence, it is set on a hillside, overlooking the surrounding vineyards and olive groves. 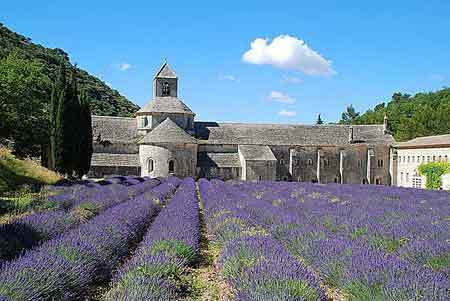 It is actually known as one of the most beautiful villages in France, so this is Provence at its best! The village has a rural setting so you won’t find any large cities nearby, but that is of course part of its appeal! Marseille is around 90 kilometres (56 miles) almost directly south, while the City of the Popes, Avignon, is around 40 kilometres (25 miles) to the west. Both Avignon and Marseille have airports, but the former’s is only very small and handles just a couple of airlines flying seasonally from the UK. 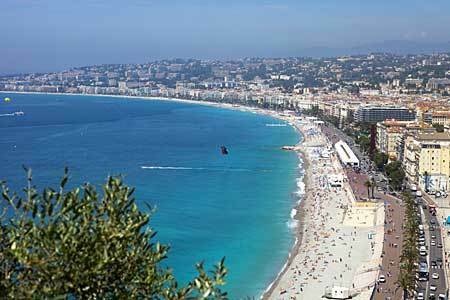 There are many more choices for flying to Marseille, and you can get connections via major European cities from all over the world. From the airport it would be easiest and most convenient to rent a car and drive through the beautiful Provencal scenery. 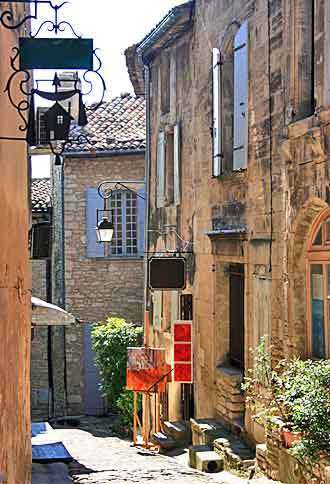 For many people a visit to Gordes simply means wandering around this charming village and soaking in the atmosphere and architecture. There are narrow, cobbled streets, many of which lead to the castle right in the heart of the village and at its highest point. This is the major tourist attraction of the town and it was partially rebuilt in the Renaissance style in 1525. The cellars of Saint Firmain Palace are also popular, while a little outside the village is the Senanque Abbey. 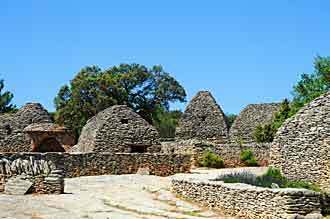 Also a little outside of the village is an open air museum called the Village de Bories where there are around 20 dry stone huts that were built in the 18th century. When visiting Gordes you don’t even have to do anything specific – after wandering around the village you can stop for a tasty Provencal inspired meal, or head back to your hotel. The hills and agricultural lands surrounding the village are great to explore on foot or by bike and if you’re here on a Tuesday you should get along to the village market. Gordes has a permanent population of only around 2,000 people so this really isn’t a large town and hence there’s a limited number of places to stay. Booking.com has 23 places listed on its website and you may be surprised to hear that a couple of these are 5 Star. 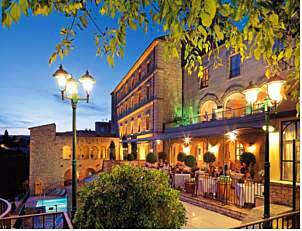 La Bastide de Gordes Hotel and Spa is a stunning luxurious 5 star hotel with beautiful views. 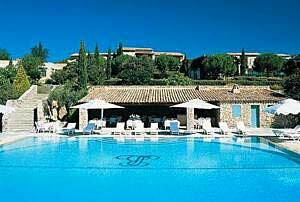 The Hotel Les Bories and Spa which is set on its own 8 hectare estate amidst olive trees, lavender, cypresses and oak trees. Of course you can also opt for more basic accommodation if you want to experience more how the locals live, and a popular option is to rent a farmhouse, as a private rental, or to stay in one of the quaint B&Bs. 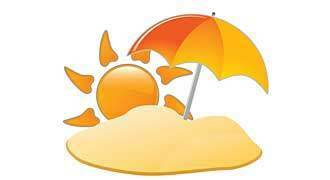 Summers are much like the rest of Provence, relatively dry and fairly hot, and you’ll find the hottest temperatures in July and August when average highs are 28 to 29C. There are just a few days of rain usually in these months, making this a great time to visit. Winters cool down, but not excessively so, unless there’s a Mistral wind blowing through. 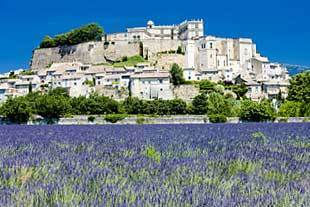 http://allexciting.com/wp-content/uploads/2014/12/Gordes_featured.jpg 301 450 Roger http://allexciting.com/wp-content/uploads/2016/10/festivals_europe.gif Roger2014-12-27 11:40:352018-04-24 21:49:49Gordes, A Provencal Gem !